Add some glamour, class and elegance to your living room decor with this pair of mirrored side tables. Modern, contemporary design with round mirror surfaces that will make an excellent display. 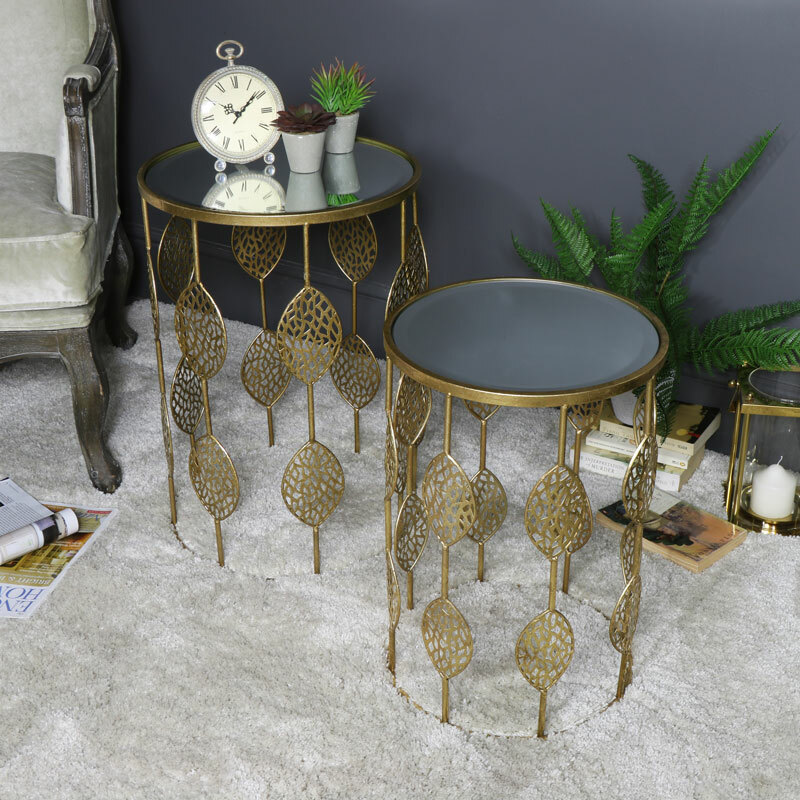 Set of 2 tables in different sizes and elegantly designed with intricate leaf detailing on the table base to add an exquisite look. The tables can be used side by side or individually where needed in your room of choice. A great look for any home, the gold colouring on the tables will add a hint of glamour and luxurious style. Add some glamour, class and elegance to your living room decor with this pair of mirrored side tables. Modern, contemporary design with round mirror surfaces that will make an excellent display. 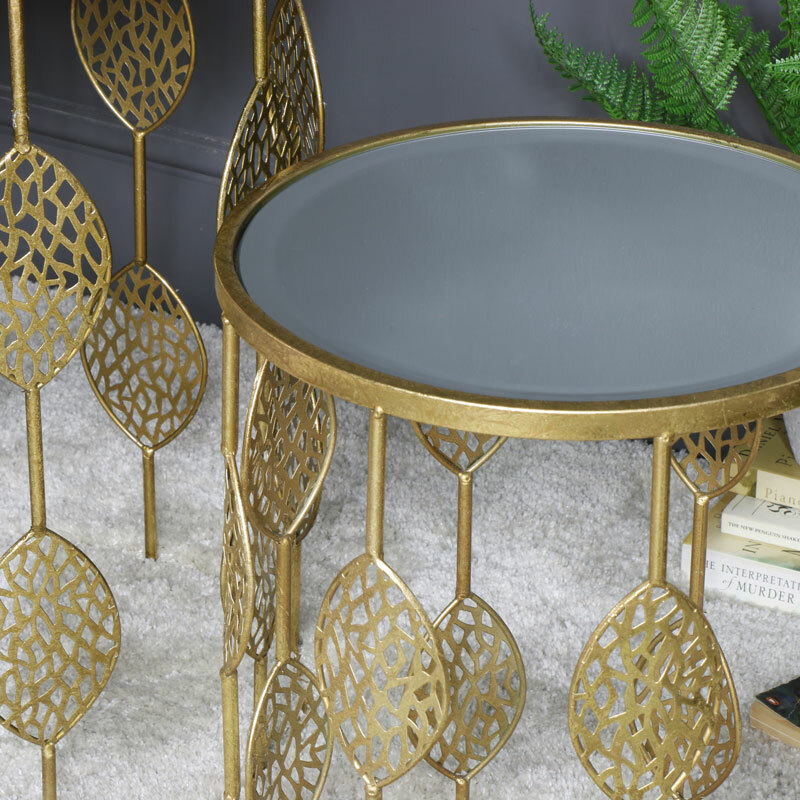 Set of 2 tables in different sizes and elegantly designed with intricate leaf detailing on the table base to add an exquisite look. The tables can be used side by side or individually where needed in your room of choice. A great look for any home, the gold colouring on the tables will add a hint of glamour and luxurious style. Constructed with a metal frame finished in an antique gold with mirrored tops. Both tables come fully assembled.